The forces of the Zhengjiaotu Rebellion defeat the Chinese army at the Battle of Taiyuan, breaking its strength, and begin moving on Beijing and the Chinese Imperial heartland. On the orders of the Tsar, Russian troops begin seeking out 'converts' to Russian Orthodoxy at the edges of the Holy Russian Empire, to bring them to the Truth. At the same time they expand the borders of the Empire. By now the Sultanate of Johor is largely unified into one Malay nationality. Other cultures and religions only exist there underground, or in exile. Mughal Emperor Muhammed Akbar II dies of old age. He is succeeded by his son, who becomes Emperor Farouk Muhammed. As part of its desire to increase food production, the Mughal Empire begins major projects to irrigate the dryer parts of the Empire. This particularly focuses on Afghanistan, where projects concentrate on restoring the old system of qanats destroyed by the Mongols. A conspiracy of the richest citizens of Pudhiya Kozhikode carries out a fairly bloody coup, overthrowing the existing Pudhiya Kozhikode Assembly. They replace the large and unwieldy Assembly with a smaller one in which eligibility is based on wealth as a percentage of that of the nation as a whole. Oddly the number of Assembly members under this new system roughly matches the number of conspirators involved in the coup. As before, the richest person in Pudhiya Kozhikode is declared the Samoothiri, the head of state, with the position being reviewed every year. The Spanish Viceroyalty of New Granada secedes from Spain. With the concessions they have made to the colonies in South America, Spain can do little to prevent this. In France, the mobs who have taken control of most the country find themselves disorganised, and the country begins to descend into anarchy. This becomes known as the Second French Revolution. The Dutch and Bavarian governments take advantage of the Second French Revolution to take control of areas of France adjacent to their borders. A new capital of the Great Khanate is established in the much more central settlement of Qaraghandy [Karaganda]. Osip Eduardovitch Khlebnikov, the Russian emissary to the Chinese court, offers help to the Chinese government, in return for territory and improved trading rights with China. This offer is rejected. The very bright comet Kyrastas [Nicollet-Pons] appears. After years of pilgrims suffering illness caused by the pollution of the sacred rivers of India, particularly the Ganges and the Yamuna, during summer this year the first pilgrims die of this pollution. War breaks out between Oman and Abyssinia over control of the Red Sea. The various rulers of the Maluku Islands [Moluccan Islands], east of Sulawesi, sign the Maluku Pact, banding together in an attempt to avoid takeover by the Mughal Empire. The Second French Revolution pulls troops out of Algeria and back to France, allowing the French-held portions of North Africa to return to native control, although France remains in possession of Malta. The Neapolitan and Milanese conquests of Tarabulus and Tunis respectively, despite unrest, remain under Italian control. Assisted by the French, who left before the Second French Revolution began, the Scottish government founds a settlement on the remote southern New Shetland islands [Kerguelen Islands] for use as a penal colony. The colonists subsist mainly on whaling, seal hunting and the raising of sheep. In Spain, unrest among the nobility over the loss of most of Spain's colonial empire grows and spreads. A third wave of slave revolts occur across Braseal. As before they are brutally suppressed, but again not before doing significant damage to Braseal itself. With the Chinese government distracted by the ongoing Zhengjiaotu Rebellion the Uighur rebels in Xinjiang are able to expel the Chinese government and establish their own nation, which they name the Khanate of Luntai [Urumqi]. After long years of development, the English colony of Gambia in West Africa is made a Dominion. As part of the structure of the new Dominion the Royal Universal Company, successor to the Royal African Company, is given a monopoly over most trade and industry there. In part to help ensure protection from Russian infiltration, and to ensure the loyalty of its Jewish population, which has been swelled by Jews fleeing persecution and forced conversion in the Holy Russian Empire, Poland, in keeping with its long history of tolerance for the Jews, becomes the first nation to emancipate its Jewish population. Popular unrest grows and spreads across India in both the Mughal Empire and the Dakshina Nad over the defiling of the sacred rivers of India and thus their goddesses by pollution. In particular people protest the damage to the Ganga [Ganges], Yamuna, Gandak and Bhagirathi rivers in the Mughal Empire and the Kaveri, Narmada, Godavari and Krishna rivers in the Dakshina Nad. The Nigritian organised criminals known as Freetraders extend their influence into the Dominions of Guinea and Gambia. Over time and despite the inhospitable environment in which it is located the New Shetland Islands grow beyond a penal colony into a fully-fledged community in their own right. The forces of the Zhengjiaotu Rebellion are barely repulsed from Beijing. In Alyeska, native Americans begin being forcibly converted to Russian Orthodox Christianity; those that attempt to resist are killed. At the same time conversion of the inhabitants of some of the Central Asian Khanates also begin. The Sultanate of Johor begins a campaign to unify the entire island of Samudra [Sumatra] under its rule. The Kingdom of Ayutthaya, occupied with trade and mainland politics, largely ignores these developments occurring entirely within Samudra. An attempted coup by Lithuanian militants who wish to take over the Polish-Lithuanian Republic and regain their country form the Holy Russian Empire by force is foiled by the intelligence services of the republic. Despite attempts by the new government to suppress it, unrest spreads in Pudhiya Kozhikode over the disenfranchisement of those who had seats on the old Pudhiya Kozhikode Assembly. In the French city of Reims, Captain Daniel Guynemer, formerly of the French Army, concluding that they must allow everyone a chance to govern in order to restore order to France, organises the first of what becomes known as the Estates-Universel [Universal Estate] in which everyone has a say. With this the city of Reims is soon restored to order. With covert funding from Novo Albion and Louisiana the settlers in California rise up against the Mexican government and declare the new Republic of California. Despite their best efforts, the government of Mexico is unable to regain control of the new nation. An earthquake in Echigo, Yapon [Japan], kills thirty thousand people. Other Estates-Universel begin to be set up across France. The first clash between the forces of Le Dictateur and those of the Estates-Universel occurs near Amiens in France. The bright comet Chattopadhyay-Das [De Breaute-Pons] is seen for several weeks. Nervous of the Mughal forces so close to them, Sumbawa petitions to ally with the Mataram Sultanate, and after due consideration is accepted as an ally by them with the signing of the mutual defence Treaty of Yogyakarta. Taking advantage of the Californian succession, Tejas [Texas] also rises up against Mexico and attempts to secede from it. In part to compensate for the loss of its colonial empire elsewhere in the world and to rebuild support for the current regime, Spain takes control of the sparsely-populated territory between Morocco and Mauritania [Western Sahara], which it names the Sahara Espagnol (Spanish Sahara). This is officially considered to be the first step in 'rebuilding and expanding the Spanish Empire'. A group of politically radical Mughal nobles found the Jadid Din-i-Elahi [New Divine Faith], a syncretic ethical system taking what is considered the best elements of all of the religions of the world and combining them into a way for all the people of the world to live. [This is a revival of the ethical system first put forward by the Emperor Akbar in 1581 to merge the best elements of the religions of his empire (primarily Hinduism and Islam with elements also being taken from Christianity, Jainism and Zoroastrianism) and thereby reconcile the sectarian differences that divided his subjects. Akbar's attempt to this was very elitist and never had more than some nineteen members; because of this it did not long survive his death.] In the religious and political environment of the Mughal Empire at this time the ideas of the Jadid Din-i-Elahi find more fertile soil than in the time of Akbar, and the numbers of those following it grow among politically radical members of the Empire, despite opposition to it from more conservative members of most of the faiths from which it draws ideas. As the ideas of a Celtic World spread, unrest occurs in England as the Welsh and Irish begin attempting to assert their respective identities. Wishing to escape this unrest and the English government crackdowns as they attempt to stop it, significant numbers of Welsh and Irish emigrate to Scotland. As time passes the ideas of the Jadid Din-i-Elahi spread across the Mughal Empire and beyond, with some of its followers using it to form the basis of several different, competing, brotherhoods each of which are not unlike the Freemasons. It also becomes somewhat less radical and more mainstream, with various members of the Jadid Din-i-Elahi rising to high positions in the governments of the world. In the European-descended nations of the Dharmic bloc Jadid Din-i-Elahi becomes known as Universalism, though its core concepts remain much the same. After continuing losses to rebel forces, Chinese government officials approach the Russian envoy Osip Eduardovitch Khlebnikov and accept the offer of Russian help against the rebels in return for territory and improved trading rights. Fleeing native Americans appeal to the leaders of Canada, Louisiana and the New Commonwealth to protect them from forcible conversion at the hands of the Holy Russian Empire. Their appeals are largely ignored. The bloody and costly Oman-Abyssinian War ends with a treaty brokered by the Arabian Alliance giving both sides equal rights over and access to the Red Sea. In an attempt to solve the unrest in Pudhiya Kozhikode, the new government allows its citizens to pool their wealth for the purposes of sending an individual to represent them all to the Pudhiya Kozhikode Assembly. Those who organise these things begin offering incentives for people to send them to the Assembly in the form of what is effectively interest on their money. This is the origin of what are effectively combined banks and political parties in Pudhiya Kozhikode. All of this leads to great efforts in Pudhiya Kozhikode as people make money to rise into government; this drives a great deal of industrialisation in the country and leads to it becoming one of the economic powerhouses of the region. The forces of the Estates-Universel rout those of the French government in battle near Paris, and lay siege to the city. The unrest over the Royal Universal Company monopoly on trade in Nigritia, and the disruption it causes, leads to the extent of the oppression of the people of Nigritia becoming known to the people and government of the Federation of England and Denmark. Public protests cause the government to act. The Royal Universal Company is stripped of its monopoly on trade in the Dominion. Over time a number of scandals in the system of Pudhiya Kozhikode involving various forms of corruption shake the system and strengthen it by eliminating those sources of unfairness. This leads to the people of Pudhiya Kozhikode having more and more faith in their system. Despite the removal of the Royal Universal Company monopoly that brought them to power, the Nigritian organised criminals known as Freetraders have gained enough power and influence to remain strong and spread their influence across the world. Russian forces begin to enter China and engage the forces of the Zhengjiaotu Rebellion. Comet Singh Yadav [Pons-Winnecke] is discovered. It becomes visible to the unaided eye. Ubashi Khan, now ageing and wishing to build up his Great Khanate to the point of being as great a power as its neighbours, and one that will survive as a monument to him, begins militarising all of the population of the Great Khanate. The Sultanate of Johor unifies all of the island of Samudra [Sumatra] under its rule. Again instances of large-scale slaughter, the destruction of non-Malay cultures, large-scale forced conversion of non-Muslims to Islam, and the slaughter of those who will not convert occur across the island. Despite assistance given to Le Dictateur by the forces of Spain, Paris falls to the Estates-Universel, who officially take control of the country. Le Dictateur flees the country. Fighting continues is parts of France. Despite this, the Estates-Universel begin setting themselves up as a functioning government, with the Estates-Universel itself acting as a parliament. 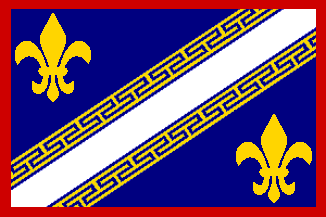 A new French flag is declared, based on the flag of Reims, where the Estates-Universel movement began, with additional fleur de lys to indicate the monarchy, and a red border to indicate the blood shed during the two French Revolutions. As part of the establishment of the Estates-Universel government, France enacts the separation of church and state into law. This gives it a number of similarities to those governments, such as the Dutch, who are part of the Vrijdenkerij [Freethinker] movement, but it does not join the Vrijdenkerij movement itself. A military coup led by elements of the Spanish military and nobility who wish to restore Spain to its former glory, a faction known as the Imperialists, topples the Spanish monarchy and places the former Prince Charles, brother of Queen Isabella III (both of the Bourbon dynasty), onto the throne. Those who support the old King, who quickly name themselves the Loyalists, resist this change of regime. A civil war breaks out. Considering itself being treated as a second-class part of the former Spanish colony of New Granada, the eastern part of the country secedes, forming the nation of Casaquiarja. What becomes known as the Granada War breaks out as New Granada attempts to take back control of the Casaquiarja region. Unable to prevent it, Mexico recognises the secession of both California and Tejas [Texas]. To end the continuing problem of slave unrest, particularly in Braseal, Portugal frees all of its slaves for the good of the Empire as a whole, and financially compensates their former owners, despite the economic disruption it causes. Finally admitting that they have lost Lithuania for the foreseeable future, and despite protests from its Lithuanian citizens, the Third Polish-Lithuanian Republic renames itself the Third Polish Republic. The Sultanate of Johor begins the industrialisation and development of Samudra, though this is hindered by the inflexible nature of their government. As time passes the population and industry of Braseal comes to surpass that of Portugal and the rest of the Portuguese Empire combined. As unrest against the Royal Universal Company inspired by events in Nigritia spreads across the Dominions of Gambia and Guinea, the Royal Universal Company has little choice but to adapt its polices to remove what it can of the causes of unrest in those places while retaining as much of its monopoly as possible. As the Central Asian Khanates industrialise, both the Holy Russian Empire and Mughal Empire cannot help being aware of the great numbers of slaves on which this industrialisation is built. The two empires find that, to their mutual surprise, they have in common a dislike of this slavery on their very doorsteps. Unrest spreads across northern China over the treatment of the Chinese people in general by the Russian forces aiding the government against the Zhengjiaotu Rebellion. After clashes between the Mughal Empire and Bhutan, the Mughal Empire invades Bhutan, quickly taking the country over. Bhutanese refugees flee into China and the Central Asian Khanates. The refugees travelling to China further inflame the situation there. Many native Americans in the north of the continent, seeing themselves threatened by Europeans of all nationalities, declare war on all Europeans. Le Dictateur lands in Louisiana, where he still has a loyal following, and begins planning his return to power in France. This is helped by Louisiana retaining control of the lucrative French islands of the Caribbean. The last of the forces in France loyal to Le Dictateur are defeated at the Battle of Bordeaux. All of France is now under the control of the Estates-Universel. The Portuguese and French governments begin supporting different factions in the Spanish Civil War, seeking to influence its outcome to their best advantage. Unrest among the Malay and other peoples on the island of Jawa [Java], caused by the policies of the Mataram Sultanate and its effects on the other states in Jawa, as well as the spread of the Alam Melayu (Malay World) movement, grows and spreads. As the Spanish Civil War continues, significant numbers of Spaniards flee the country, or move to the relatively peaceful, if harsh and primitive Sahara Espagnol [Western Sahara]. Native American war parties kill Russian, Canadian, Louisianan and New Commonwealth settlers across northern North America. Seeking to expand Abyssinian control of the mouth of the Red Sea, Abyssinian forces take control of the region of Ajan, on the northern coast of the Horn of Africa. England takes advantage of the Granada War to take control of parts of south-eastern and north-western Casaquiarja. The third railway in the Dakshina Nad, linking Satara to Golconda via Berar, opens. This is mainly a military railway line. Over the objections of many of the Danish nobility, a new two-house Parliament is established in the Danish part of the Federation of England and Denmark, replacing the absolutist system there with a constitutional monarchy much more like that in place in England. In Louisiana, Le Dictateur begins strongly enforcing his new regime. In particular non-Christian native Americans suffer persecution, forced conversions, and more than a few massacres when they attempt to resist this. As part of its adoption of its Estates-Universel regime, France emancipates its Jewish population. Comet Beeckman [Pons-Gambart] is discovered. Many other more tolerant nations around the world also emancipate their Jewish populations after this. However, in some nations, in particular the Holy Russian Empire, Jewish emancipation never occurs. Russian troops crush the forces of the Zhengjiaotu Rebellion at the battle of Nanjing, killing their leader, Chinese Russian Orthodox Christian Teng Junhui, in the process, along with many other leaders of the rebellion. With this, the rebellion loses cohesion, and its forces break up into factions, making them that much easier to defeat. Turkmenistan and the Khanate of Kokand join the Arabian Council. The governments of the Holy Russian Empire, Canada, Louisiana and the New Commonwealth send out troops to bring the native Americans responsible for the slaughter of their people to their own individual brands of justice. Thanks to intelligence information passed on the Dakshina Nad, the government of Ayutthaya is able to prevent a coup in the Kingdom. The French Estates-Universel expel the last foreign troops (Dutch and Bavarians) from French soil. Persian philosopher and scientist Badiozzaman Kasravi proposes the theory of Koshti Gereftan Az Vojud [the Struggle for Existence]. Derived from and expanding upon the work of the ninth century Arab scholar Al-Jahiz it attempts to explain the survival and change over time of all living things [that is, it is a theory of evolution and natural selection]. Some Jewish thinkers begin calling for the creation of an independent Jewish homeland. However, this remains a minority viewpoint among the Jews of the world. Citing border infractions, the Holy Russian Empire declares war on Sweden. What becomes known as the Russo-Swedish War begins. Several native American war bands are killed by troops hunting for them. Many innocent native Americans are also killed by the troops, increasing native American hostility to Europeans in general. In Prussia a militaristic, nationalistic form of the Vrijdenkerij [Freethinker] movement, here known as the Freidenker [also Freethinker] movement, grows in power and influence. The Great Khanate, in a series of lightening strikes, invades and defeats the Great Horde of Kazakhs, taking control of the Kazakh lands. After attempts to extend its control into California by diplomatic means fail, Novo Albion invades California in an attempt to absorb the new nation (and its wealth) into itself. Anglo-Danish inventor Knud Ingmann combines the mechanical calculator and card-controlled loom to create the first successful programmable mechanical computer. In a case of mistaken identity, Louisianan and New Commonwealth troops, both hunting Native Americans, exchange shots with one another. Only hasty diplomacy between the two sides prevents a war. As unrest continues in the Jawanese [Javanese] Mataram Sultanate, the sultanate has little choice but to change its policies and institute a number of reforms. Devolution of power to the people, and greater representation for them, in implemented, and this generally curbs the unrest on the island. Seeing the power of the Persian Empire declining in comparison with its neighbours, particularly the Holy Russian Empire, General Bahman Foroutan of the Persian Army stages a bloody coup that ousts the Dehbokri Dynasty from the Persian throne and installs himself as the first Emperor of the Foroutan Dynasty. Taking advantage of the turmoil in China created by the Zhengjiaotu Rebellion, the Great Khanate invades the Khanate of Luntai, taking it over and probing further east into western China. With the French Estates-Universel having stabilised and taken control of the country, they invite a suitable European Prince to become a new French monarch. However, it is made clear that they will be very much a constitutional monarch, with the Estates-Universel holding the real power in the country. Californian militias defeat the army of Novo Albion at the battle of the Great Salt Lake. By now the number of candidates for the Mughal Imperial Examinations is far greater than the number of positions available. Seeking a solution, the Mughal Durbar introduces a system of Sortation, the random selection of candidates from the pool of qualified individuals. At first only used for some particularly highly sought after positions, it soon becomes adopted for all such positions. Improvements in electrical battery design allow Satyajeet Nagawade in the Mughal Empire to produce an economically viable, if short-ranged, electrically-powered vehicle. As another side-effect of increasing literacy the citizens of the Mughal Empire begin demanding that those above them take more notice of their views. The rebuilding of the many French cities that were damaged or destroyed during the Second French Revolution, in particular Paris, begins. This rebuilding is a mixture of the most modern ideas and techniques, combined with the need for economy in many areas. After a series of decisive battles during which the Swedish capital of Stockholm is bombarded, the Swedes approach the Russians asking for terms to end the Russo-Swedish War. After threatening Russian troop movements occur along its borders, the Principality of Moldavia allies with Romania for its own defence. The last elements of the forces of the Zhengjiaotu Rebellion fade back into their home villages. The Zhengjiaotu Rebellion officially ends after twenty-two years. Holy Russian Empire forces and a joint Louisianan-Canadian expedition exchange shots in a case of mistaken identity, again while both sides are hunting Native Americans. Taking advantage of the continuing unrest in the island of Sulawesi, the Sultanate of Sulu takes control of the Semenanjung Minahassa, the northern peninsula of Sulawesi. After prolonged discussions and negotiations, Prince Joseph of the Kingdom of Naples is accepted as the new King of France, and is crowned King Joseph I, beginning the Restored Bourbon Dynasty (as the royal family of Naples is also of the House of Bourbon). Taking advantage of the inability of Spain to stop them, France takes over the Sultanate of Morocco. Spain retains control of the Sahara Espagnol to the south of Morocco, as well as its coastal enclaves of Ceuta and Melilla. In danger of suffering from over-extension of its forces, the Great Khanate halts its expansion and begins consolidating its Central Asian gains. The Treaty of Yerba Buena ends the war between California and Novo Albion, establishing the border between them, and also legislating free trade between them, thus eliminating many of the issues that led to the war in the first place. Construction begins on the first railway in sub-Saharan Africa, in the English Dominion of Nigritia. As part of the changes in French society arising from the Second French Revolution and the introduction of the new Estates-Universel government, French women celebrate their liberty by, among other things, beginning to wear trousers again. Despite the end of the Zhengjiaotu Rebellion, Russian 'military advisors' remain in China, ostensibly to train the Chinese military in modern techniques and prevent any new rebellions by the Chinese people. As those of the Chinese population displaced by the Zhengjiaotu Rebellion move to and settle in neighbouring nations, Chinese culture becomes more widely known. In particular Chinese martial arts become known to non-Chinese, and hybrid styles mixing Chinese and non-Chinese elements (particularly Indian elements) begin to be developed. As time passes the wearing of trousers by women once against spreads across the nations of Europe and beyond. After a period of negotiation, the Russo-Swedish War ends with Russia taking control over what were Sweden's Finnish territories. Sweden is also forced to reduce its military and pay reparations, damaging its economy for years to come. Prince Narasaraja Wodeyar in Mysore flies the first powered havajahaz [airship], driven by an electric motor. However, this has a very limited range. In another case of mistaken identity, Holy Russian Empire and New Commonwealth troops exchange shots with one another. In this case an officer from the Russian nobility, Grigory Feodorovitch Ryabushkin, the son of Feodor Vladimirovitch Ryabushkin, the Governor of Alyeska, is killed. Attempts at diplomacy between the two sides quickly break down and war is declared by the Alyeskan Governor, before news can reach Moscow. This conflict quickly becomes known as the War of Grigorys Bullet. Representatives of the Mughal and Holy Russian Empires meet in Muscat, the capital of Oman, and after negotiations sign the Treaty of Muscat, agreeing to cooperate in eliminating slavery from Central Asia. A particularly hot and dry year in India causes exceptionally low water levels across the Mughal Empire and numerous associated deaths from pollution [this is roughly analogous to the Great Stink that occurred in London in the real world in 1858]. Anti-pollution riots occur in Agra and Delhi. The karkhanas of several of the worst polluters are smashed by the rioters, and burned to the ground, ironically releasing even more pollution into the river. Large parts of the city of Agra itself also burn to the ground during these riots, as do smaller parts of Delhi and other cities in the region. New Persian Emperor Bahman Foroutan signs the Treaty of Moscow with the Holy Russian Empire. This is a mutual defence treaty that also gives the Persian Empire access to the knowledge and markets of the Holy Russian Empire, for a price. The intelligence services of several other nations indicate that there are other, secret, elements to the treaty, but cannot find out what these may be. Riots against the pollution of the sacred rivers of India spread across the Mughal Empire and also into the Dakshina Nad. Many die as the governments of the Indian nations attempt to suppress this unrest, with no success. As time passes the transfer of knowledge from the Holy Russian Empire enables the Persian Empire to modernise its military and, more importantly, begin to industrialise itself. In return the Holy Russian Empire gains access to the resources of the Persian Empire. After a few inconclusive skirmishes, the forces of the Holy Russian Empire and New Commonwealth meet at the Battle of Purity, the first major battle of the War of Grigorys Bullet. The New Commonwealth troops, fighting from shorter supply lines, and with better-motivated troops, win the battle. The Great Khanate invades the Mughal Empire to its south, attempting to take control of the cities of Samarkand and Kabul in what is intended to be a fatal strike to what they see as their greatest foe. In its initial skirmishes the forces of the Great Khanate defeat those of the Mughal Empire and push on into the Empire itself. Seeking closer defensive ties against the Russians and with continuing troop movements on their borders, the Principality of Moldavia has no choice but to merge with Romania, forming the new nation of Romania-Moldova. Pope Leo XIV, in concert with the chief imams of the different branches of Islam calls a conference on religious commonality and syncretisation to be held in Rome. This is known as the Council of Rome. Representatives from many nations and most religions attend, only the Russian Orthodox Church absent from among all of the major religions. Following the Russo-Swedish War, the nations of Eastern Europe are now fully aware of the threat posed to them by the expansionist and theocratic government of the Holy Russian Empire. Representatives of the governments of Poland, Prussia, Austria, Bohemia, Bulgaria, Serbia, Sweden, the Ukraine and Romania-Moldova, Sweden and the Ottoman Empire meet in Sarajevo, the capital of Serbia. In payment for Russian help in the Zhengjiaotu Rebellion, China transfers Inner and Outer Mongolia and Manchuria to Russian control and opens two-way trade with the Holy Russian Empire. In the battle of Noviy Khabarovsk, New Commonwealth troops again defeat those of the Holy Russian Empire. In the process Governor Ryabushkin is killed by a stray bullet. The Russian forces are routed. New Commonwealth troops advance into Russian territory. Driven to the edge of defeat by the continuing religious violence there, and threatened by the Sultanate of Sulu, the leaders of the southern Sultanates of Sulawesi, particularly the Sultans of Makassar and Kendari in the south of the island, appeal for foreign help. To deal with the unrest resulting from the First and Second Revolutions that is continuing within its remaining overseas colonies, the new French government makes them, administratively, part of France, with representation in France as part of the Estates-Universel. With this concession the unrest is largely contained. As another part of the restoration of France following the Second French Revolution, France retakes control of Algeria, which it had taken shortly before the Second Revolution broke out, and lost during it. The first ocean-going steamship makes the crossing from France to Louisiana [this occurred in 1838 in the real world]. Similar designs are soon adopted by other nations around the world. Mexico signs the mutual defence Treaty of Guadalajara with the Holy Russian Empire. The Russians begin 'Russianising' their new territories of Manchuria and Inner and Outer Mongolia, imposing Cyrillic and the Orthodox Church on their new subjects. Refugees flee into China and the Central Asian Khanates. Irreconcilable differences of opinion lead to the Ottoman Empire and Prussia leaving the negotiations in Sarajevo. Sweden also leaves after Russia applies political pressure and unsubtle threats. Over a period of months the remaining nations hammer out the basics of a defensive alliance. With agreement reached, the governments of Poland, Austria, Bohemia, Bulgaria, Serbia, the Ukraine and Romania-Moldova sign the Sarajevo Pact, which will have its headquarters in Sarajevo and a flag of its own. Riots and unrest in Mongolia are crushed by the forces of the Holy Russian Empire. Related unrest in China is crushed by the Chinese military. 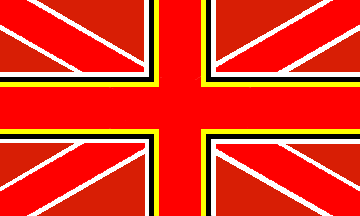 As Welsh and Irish unrest over the Celtic World movement spreads, the English government has no choice but to grant more Welsh and Irish rights, giving them limited devolution, as well their nations places on the Anglo-Danish flag. Both Wales and Ireland become Dominions within England-Denmark, and Ireland is granted a dispensation giving its Catholics equal rights with the other official religions in Ireland itself. Political groups that seek Irish independence or union with Scotland continue to exist, however. [Note that the term Dominion does not have the generally-accepted sense of the word that it does in the real world. The Anglo-Danish Dominions are run by an autocratic president, appointed by London with an Advisory Council to assist them, and the Dominions do not have the independence from England that the later British dominions in the real world were given.] At the same time Norway and Iceland are also granted Dominion status, and Catholics in Maryland and Cuba within the Dominion of New England, and the entire Dominion of Mosquitia, are granted the same dispensation as those in Ireland. The government of Thanjavur becomes the first to impose anti-pollution measures on the industries within its borders, forcing them to clean up their waste. At the same time the Thanjavur government initiates programmes to deal with pollution by human waste. Reaching the end of their supply lines, the New Commonwealth government declares an end to the War of Grigorys Bullet. By this point, although news has reached Moscow, there is little to be done by the Russians, and they are forced to accept their loss of territory to the New Commonwealth. In Scotland, construction begins on the most northerly Mosque in the world, on the estate of Scottish Nabob Malcolm Hamilton near John o' Groats in the very north of mainland Scotland. The Kingdom of Canada begins funding anti-English, pro-independence movements in New England. In Louisiana, Le Dictateur dies of old age without having had his plans for the re-taking of France come to fruition. He is replaced by his son. France and Scotland officially divide the islands of Nieuw Zeeland into the northern French island of Terre Henri, named after the French King, and the southern Scottish island of Scotia Australis. The army of the Great Khanate is decisively defeated by the Mughal Empire at the battle of Samarkand. Much of the leadership of the Great Khanate is killed in the fighting. As news of the defeat of the Great Khanate reaches Qaraghandy [Karaganda], Ubashi Khan is assassinated by one of his sons, who attempts to take the throne. However, his other sons do not accept this, and a vicious succession struggle begins, which soon spirals into civil war. France sells part of its France Australis colony in Marege [Australia] to Scotland. This forms the new Scottish colony of New Argyll. Military assistance from the Holy Russian Empire begins entering Mexico. As the Thanjavur anti-pollution programmes take effect, other governments in India and around the world adopt similar measures, with varying, but usually successful, results. The anti-Nabob, anti-Muslim violence in Europe triggers a backlash against Indian architecture and a resurgence of 'traditional' styles. As time passes many Scots who are not happy with the way Scotland is being 'corrupted' by the numbers of immigrants and foreigners who live there emigrate to Scotia Australis, setting up a 'traditional' Scottish society based on the Highland clan system. A number of Holy Russian Empire battleships sail into Edo [Tokyo] harbour and demand that the Yaponese government allow Russian Orthodox missionaries to do their holy work in the islands of Yapon. Unable to effectively resist the Russian warships, the Yaponese have no choice but to accede to these demands. The Holy Russian Empire begins reinforcing its territories in the north of North America. After prolonged discussions, the attendees at the Council of Rome announce that they have found common ground between all the religions of the world. That there is no real basis for religious conflict, as all religions are different views of the same fundamental Truth. Riots occur in cities across the world as the more hard-line members of a number of different religions violently protest the outcome of the Council of Rome. Several of the attendees at the Council are killed by lynch mobs during this violence. The Khanates of Atyrau, Tobyl and Irtysh secede from the Great Khanate, considering themselves to have been ill-served by it. Taking advantage of the chaos produced by the break-up of the Great Khanate, in one of the very few instances of cooperation between them, the Mughal and Holy Russian Empires begin mounting punitive raids into the Central Asian Khanates, with the intention of destroying the slave trade there, and emancipating the slaves themselves. After long negotiations, most of the states of Jawa [Java] band together into a federation of states organised along similar lines to the Kanyakumari Pact and known as the Banten Pact after the city in western Jawa in which it is signed. This leads to the unification of the island under a Mataram central government based in Banten (which remains the capital to the present day) for the protection of the Jawanese way of life. Although nominally representing all the states of Jawa, the Mataram Sultanate is very much the dominant member. The less-than-competent polices of the new Le Dictateur cause unrest to grow in Louisiana. The nations of the Banten Pact, seeking stability on its northern border, steps in and sends military assistance to Sulawesi. Under Makassar and Kendari leadership, the Pact forces begin to suppress the religious violence on the island. As another part of its response to the Second French Revolution and the establishment of the Estates-Universel government in France, the English part of the Anglo-Danish government enacts a series of reforms, removing the rotten boroughs and realigning parliamentary seats with population centres and significant industries. The franchise is also extended to much more of the male population. Bowing to increasing calls for representation, the Mughal Emperor Farouk Muhammed, supported by the Mughal Durbar, puts in place a system of Panchayats, growing up from the local level, where Panchayats form village councils. New Parganas (village group), Sarkar (district), Subah (province) and Empire-level Panchayats are set up, each one made up of representatives from the level below it selected at random, by a process of Sortation. These are known as Panchayat-i-Pargana, Panchayat-i-Sarkar, Panchayat-i-Subah and Panchayat-i-Doulat respectively. Each Panchayat has its own leader, the Sarpanch (known as the Sarpanch-i-Pargana, Sarpanch-i-Sarkar, Sarpanch-i-Subah and Sarpanch-i-Doulat respectively), and is effectively a lower house for the region they serve. Panchayats can propose, debate and approve legislation at their level, although the implementation of such depends on the approval of the local governor who along with their advisors form an upper house. For the Mughal Empire as a whole the Durbar forms the upper house. Panchayats at different levels are not just legislative, but like the village-level councils they are derived from are also judicial and arbitrate disputes brought before them. 'Villages' for the purposes of Panchayat representation also include village-sized districts of towns; these are periodically recalculated as population changes. The Sarpanch of each council at every level is separate from the Kotwal (city governor) and the Qasi (religious leader) of each area/level. Thus as the system develops over time these three people become a triumvirate of leaders, covering military/police, religion and the people/politics. The frequency of village elections are determined at the local level by the same processes that have been used since time immemorial. The sortation for the higher level councils take place every four years. Because of the way the different councils are selected, with at the lower level people selected because people know them personally, and those in the councils above that selected by Sortation from below, there are no political parties as such. On the other hand there are interest groups with common interests that cut across and up and down the councils. The Spanish Civil War finally ends in a victory for the Loyalist faction. However, Spain has been wrecked by years of warfare, and only very slowly begins to rebuild. The Omani government begins construction of the second railway in Africa at its colony in Zanj. With political stability achieved, the Banten Pact advances socially, economically and technologically. As part of the rebuilding of Spain, the monarchy and nobility are also reformed, turning the country into a democratic constitutional monarchy, a system that is seen as the best hope for avoiding another civil war. A new bicameral parliament, the Cortes Generales, is instituted as the national legislature, with the Restored Bourbon monarch as head of state. Another part of this is the abolishment of the Spanish Inquisition. As time passes the three Khanates of Atyrau, Tobyl and Irtysh evolve into little more than buffer states, dependant on income from the Mughal and Holy Russian Empires to survive. As a consequence of the Council of Rome, a number of movements within Christianity begin working quietly for unity within Christianity as a whole [not unlike the Anglo-Catholics of the real world] and/or among all of the religions of the world. Anti-Sarajevo Pact and pro-Russian unrest spreads across the Ukraine, Romania-Moldova and Bulgaria. The germ theory of disease is first proposed by Anagarika Thiranagama in Sinhale [in the real world this was first demonstrated in the 1860s]. It soon gains wide acceptance. Rumours begin to circulate that aged Chinese Emperor Daoguang has lost the Mandate of Heaven. Border infractions between Ayutthaya and Dai Ngu lead to war between the two nations. The Holy Russian Empire takes advantage of the civil war in the Great Khanate to invade and take control of parts of the eastern Great Khanate, against stiff resistance from its people. The Great Horde of Kazakhs throws off the control of the Great Khanate and re-establishes its independence, seizing significant areas of the western Great Khanate as they do so. The first steam-powered havajahaz [airship], built by Yogesh Shastri, flies in the Mughal Empire. However, the weight of the steam engine means that its usage is limited, although fitting the engine to a hot air airship [see also here] does have the advantage that its waste heat also provides lift. The English government discovers that the Scottish government was actively funding and supporting the Welsh and Irish unrest that led to the governmental changes of 1834. When the Scots reject English demands for compensation and an apology, the Third Anglo-Scottish War begins. Strong action by the governments of the Ukraine, Romania-Moldova and Bulgaria attempts to contain the pro-Russian unrest in those countries. In the Ukraine and Romania-Moldova this is reasonably successful, and a number of Russian espionage rings are broken into the bargain, but in Bulgaria unrest continues and spreads. The Khanate of Luntai [Urumqi] rises up against the occupying forces of the Great Khanate. The Bulgarian government turns down offers of help from the rest of the Sarajevo Pact, considering the unrest it is suffering to be a purely internal matter. There are clashes between Dutch merchants and Russian Orthodox missionaries in the Yaponese city of Nagasaki. A military coup in Louisiana attempts to overthrow Le Dictateur. However, he retains enough support to prevent the coup from succeeding, but not enough to crush it. A civil war breaks out. The Banten Pact presents an ultimatum to the few states on Jawa [Java] which did not sign the Pact in 1835, stating that they must join the Pact, and will be incorporated into it by force if necessary. The Russians begin 'Russianising' their new territories in Central Asia, imposing Cyrillic and the Orthodox Church on their new subjects. Refugees flee into China and the remaining Central Asian Khanates. As refugees fleeing the civil war there begin to move across the border from Louisiana into the neighbouring nations, the Kingdom of Canada declares its intentions to restore order to Louisiana. Several of the remaining independent states on Jawa [Java] join the Banten Pact. A pro-Russian revolution breaks out in Bulgaria, centred on the capital of Sophia. As the remaining loyal Bulgarian troops attempt to crush them, and the rest of the Sarajevo Pact attempts to reinforce them, the rebels call for help from the Holy Russian Empire. Mughal Emperor Farouk Muhammed dies of old age. He is succeeded by his son, who becomes Emperor Shah Buland Iqbal II. Moving with a speed that implies foreknowledge of the uprising, the forces of the Holy Russian Empire deploy across the Black Sea to Bulgaria and, landing at the port of Varna, begin assisting the rebels in taking control of the country. The Russians let it be known that interfering with their forces will be tantamount to a declaration of war. Sarajevo Pact forces mass on the borders of Bulgaria but do not cross them. The forces of the Khanate of Luntai finally expel the forces of the Great Khanate after a bloody struggle, in the process taking control of territory in the east of the Great Khanate. The Sultanate of Johor takes advantage of the Ayutthaya-Dai Ngu War to attempt an invasion of the Ayutthayan Malay Peninsula to reclaim the traditionally Malay areas from which they were expelled in 1772. The war between Ayutthaya and Dai Ngu ends with the payment of some reparations and some minor border adjustments to the benefit of Dai Ngu. The remaining government of Bulgaria admits defeat and flees from Sophia into Serbia. Pro-Russian forces declare victory and with Russian help take control of the rest of Bulgaria, closing its borders, but not before large numbers of refugees flee into neighbouring Serbia, Austria and Romania-Moldova. Chinese Emperor Daoguang is assassinated by a Chinese Muslim. He is succeeded to the throne by his three year old son, who becomes the Emperor Xianfeng. The Sultanate of Johor destroys the port of Melaka, which is under the control of the Kingdom of Ayutthaya. The forces of the Banten Pact invade and take control of the two remaining independent states on Jawa [Java]. The Kingdom of Canada invades Louisiana, with the stated intention of protecting their Francophone brothers who are suffering in the civil war there. Their forces end the civil war and impose peace in the areas they invade. In some places they are welcomed for ending the civil war, but in others they are fiercely resisted. The Mexican military also enters Louisiana in an attempt to restore order there. The Khanates of Atyrau, Tobyl and Irtysh are invaded by the Great Horde of Kazakhs. Seeking alliances to ensure their survival they all ally with each other and the Mughal and Holy Russian Empires. Russia begins imposing its view of the world on Bulgaria, including the Russian language, and bringing the Bulgarian Orthodox Church into line with the Russian Orthodox Church. Despite widespread resistance to this the Russians are sufficiently in control of the country to suppress this resistance, though not without numerous atrocities. Because of the new alliances, the Great Horde of Kazakhs has little choice but to withdraw from the Khanates of Atyrau, Tobyl and Irtysh. Shaken by its poor performance during the Bulgarian situation the Sarajevo Pact, after negotiations between its members, reorganises itself for greater effectiveness and to avoid members being able to keep out others for 'internal' reasons. Ottoman biologist Fikret Usakligil working in Alexandria discovers the principles of genetics and inheritance [as opposed to 1865 in the real world]. The first entirely steam-powered warship is launched by the navy of Samudra [Sumatra; this occurred in 1859 in the real world]. It proves to be highly effective, and the design is soon copied around the world. Despite the violence caused by the outcome of the First Council of Rome in 1835, a Second Council of Rome is held to further discuss global religious matters. The Mughal Empire attempts to plant a colony in southern South America, adjacent to the British Dominion of Kingsland. Ayutthaya finally expels the Sultanate of Johor from the Malay Peninsula. However, their navy is largely destroyed, and Johor has taken control of the seas to the west of the Malay peninsula. The civil war in the Great Khanate ends with a new Khan, the second son of Ubashi Khan, in control of the now greatly reduced Khanate. He begins brutally suppressing all opposition to his rule. France takes advantage of the Louisianan Civil War to retake the French islands in the Caribbean from Louisiana, and in particular the island of Hispaniola. The Granada War finally ends as New Granada finally concedes that it cannot force Casaquiarja to rejoin with it, and formally grants it independence. However, the long war has financially crippled both nations, leaving them poor and backward for decades to come. Macedonia allies itself with the Ottoman Empire for protection against Bulgarian (and Russian) aggression. A largely bloodless military coup in Sweden with massive public support overthrows the government which has been so weak in the face of Russian aggression and installs Prince Gustav as the new monarch, King Gustav III [not the same person as the Swedish king of the same name from the real world]. Well-educated and with a military background, Gustav re-establishes absolute, but enlightened, monarchy in Sweden, and begins a rapid program of militarization, using the threat of the Holy Russian Empire as justification. Dutch merchants, badly hindered by the long distances and lack of friendly ports between Yapon [Japan] and the Netherlands, are forced to discontinue their trading links with Yapon. Persian industry, not inhibited by the religious limitations imposed by the Russian Orthodox Church in the Holy Russian Empire, begins to provide significant amounts of technology to the Holy Russian Empire. As the Louisianan Civil War continues the French-descended criminals known as Les Forestiers [The Foresters] are able to increase and extend their power and influence, becoming a major international criminal organisation. Rumours begin to circulate that young Chinese Emperor Xianfeng is being educated and influenced far more by Russians than by Chinese. From the first, the Mughal South American colony suffers numerous problems which make it costly and difficult to maintain over and above its distance from India. Rumours reach Delhi that the colony is being deliberately sabotaged by Britain and possibly the other European powers. The Treaty of Brunei ends the Ayutthaya-Johor War. In it, the size of the Ayutthayan navy is limited to minor ships only, and even then mainly to be deployed on the eastern side of the Malay Peninsula. After long years of working to suppress slavery in the Khanates of Central Asia, with a fair degree of success, the Holy Russian and Mughal Empires call a conference for the leaders of all of the Khanates at Samarkand. At this conference, all of the leaders are told to eliminate slavery from their countries, or have it eliminated for them. Tensions rise between the Banten Pact and the Sultanate of Johor over territorial rights in the Jawa [Java] Sea. Le Dictateur formally surrenders the parts of Louisiana under his control to the Kingdom of Canada. However, fighting continues elsewhere in Louisiana. Sweden re-joins the Sarajevo Pact, despite diplomatic pressure from the Holy Russian Empire in an attempt to prevent them doing so. Seeking protection against possible aggression from England-Denmark and Braseal who might take advantage of future unrest in France, the governor of France Équinoxiale opens negotiations with the neighbouring Spanish-descended states of Casaquiarja and New Granada. Inventor Gregor Spitzweg, working in the Ottoman Empire, develops the first internal combustion engine [invented in the 1860s in the real world]. The Samurai of the city of Nagano in Yapon [Japan] take offence at a group of particularly zealous Russian Orthodox missionaries and kill them. The Russian government objects strongly to this and demands reparations and further access to their missionaries from the Yaponese government. The Yaponese refuse. While travelling from Delhi to Kanyakumari, Jahangir Amirkhani, the Mughal Ambassador to the Dakshina Nad, is killed. Investigation quickly proves that members of the Thuggee cult were responsible. It also shows the extent of Thuggee activity, and the numbers of people it kills. Shocked by this revelation, Emperor Shah Buland Iqbal II outlaws the Thuggees, and orders that they be hunted down and destroyed. As signs of pro-Russian unrest begin in Croatia, Austria invades and takes control of the country in a short but bloody war. As part of the drive to increase the effectiveness of the Sarajevo Pact, the militaries of all of the surviving member nations are placed under a central unified command, based in Sarajevo itself. Construction begins on the third and fourth railways in sub-Saharan Africa, in the English Dominion of Guinea and Xhosaland respectively. After some considerable negotiations, the Treaty of Samarkand is signed, in which all of the states of and bordering Central Asia agree to eliminate slavery. In the following years the states of Central Asia work with varying degrees of enthusiasm to eliminate slavery, but with the Mughal and Holy Russian Empires observing them, all of them do eventually do so. Slaves become citizens, if in general at the bottom of the social scale. Guest workers and expatriates from other nations are also employed to help with the industry of the various Khanates. Over time nests of Thuggees across the Mughal Empire are located and destroyed. Those involved are, in general, executed. Seeking to halt the expansion of Omani Zanj northwards towards Abyssinia, Abyssinian forces take control of the region of Alaba, on the east coast of Africa, despite protests from Oman. The forces of the Kingdom of Canada finally suppress the fighting in Louisiana, and take control of the entire country, expelling the forces of Mexico along with it. Advances in steamship technology, and reductions in price, allow the first steamship services carrying large number of pilgrims to the Hajj in Mecca in the Ottoman Empire to begin. The vast majority of these ships dock at Jeddah on the Red Sea. As time passes the numbers of Hajj ships and the number of pilgrims they carry increase more and more. A Russian fleet lands a massive army in Edo [Tokyo] and at several other points across Yapon [Japan]. Despite their best efforts and their taking massive casualties the Yaponese cannot resist the invading Russians. Edo quickly falls to the Russians and the Emperor is taken prisoner along with all of his family. Calls by the Yaponese Emperor for the Samurai to accept the Russians as their new leaders are rejected by most of the Samurai as it is assumed the Emperor is acting under duress. Almost the entire Yaponese Samurai class is exterminated in the fighting that follows this. The Great Horde of Kazakhs form the first Central Asian air force, using havajahaz [airships]. This idea is soon adopted by many of their neighbours. Banten Pact forces finally suppress the religious violence on the island of Sulawesi and restore peace and order. Banten Pact military advisors remain to ensure violence does not flare up again. A conference is called in Cape Town to discuss the issue of the Mughal colony is South America. After a long stalemate in the Third Anglo-Scottish War, the English make a major push, and drive back the Scottish on all fronts. With Edinburgh threatened, the Scottish sue for peace. Vinod Roshan flies the first internal-combustion-powered havajahaz [airship] in the Mughal Empire. This proves to be the most practical means of driving an airship, and the design is soon copied around the world. After prolonged negotiations, France Équinoxiale and Casaquiarja sign what becomes known as Le Pacte d'Amazone (the Amazon Pact), a mutual defence agreement against aggression from England-Denmark or Braseal and Portugal. New Granada does not sign the Pact, citing irreconcilable political differences with Casaquiarja. The royal family of Bulgaria under the Hadjuk, marries into and formally joins the Russian Romanov dynasty, helping to cement Russian control of the country. It is widely rumoured that this was done under duress. Over time Le Pacte d'Amazone evolves into a mutual trading agreement as well as a defensive alliance. Hot air havajahaz [airships], with both propulsion and heat for lift provided by an internal combustion engine, spread around the world as the most common form of lighter-than-air vehicle. Although there are a few attempts to use hydrogen-filled airships, these prove too dangerous. As time passes many Khanate members soon become known as the best and most daring pilots on the face of the Earth. After discussions, the Cape Town Conference divides up the world. The Indian and western Pacific Oceans are considered to be in the Indian sphere, the Atlantic and eastern Pacific Oceans in the European sphere, with a few exceptions to this, notably the few European colonies in the Indian Ocean and the Holy Russian Empire in the northern Pacific. With this agreement the Mughal colony in South America is quietly disbanded. However, some formerly-Mughal citizens remain behind and integrate with the local population. Hrithik Subbulakshmi, a Hindu philosopher in the South Indian state of Thanjavur proposes that the new science of genetics provides a scientific basis for the caste system. When the government of the Dakshina Nad is presented with the evidence gathered on the Thuggees, they too outlaw and begin to hunt them down. This is the first instance of significant Mughal-Dakshina Nad cross-border cooperation. The Third Anglo-Scottish War ends with the Scottish paying reparations to the English, as well as losing significant land along the Anglo-Scottish border, the Shetland Islands, and their colony of Darien in North America. The Kingdom of Canada formally integrates Louisiana into itself, becoming the Kingdom of Canada-Louisiana, under King Louis II. Seeking to maintain friendly relations with Abyssinia, the government of Oman forbids the northward expansion of its colony of Zanj. Shortly after the signing of the Le Pacte d'Amazone, New Granada signs the Treaty of Havana with England-Denmark, aligning itself with them. Mud flows from the eruption of Mount Ruis in New Granada [Colombia] kill seven hundred people. Despite being troubled by terrorism and bad feelings, over time Canada and Louisiana have integrated into a single unified nation, although the former Louisiana remains the poorer and more backward part of the country. In the Battle of Kyoto the last organised Yaponese resistance to the Russian invasion is smashed. Russia takes full control of the country. With increases in the size and number of ships, the Suez Canal, following the route of the ancient canal linking the Nile and the Red Sea, begins to prove incapable of handling the demands placed on it. Construction begins on a new Suez Canal directly linking the Mediterranean and Red Seas [much as the one in the real world does]. In Ayutthaya, a new government comes to power with a manifesto calling for increasing the power and influence of Ayutthaya in south-east Asia and the world as a whole. The first group of Thuggees in an overseas Mughal colony is located and destroyed. Unrest begins to spread in Zanj over what is perceived as their mistreatment by their leaders in Oman itself. An attempted anti-Russian revolution in Bulgaria is crushed by the Bulgarian government, with Russian assistance. Despite significant resistance, the Russians begin imposing Russian Orthodox Christianity and Russian culture on Yapon. Shinto and Buddhism are outlawed. Most shrines and Yaponese cultural sites are razed. Many die resisting the Russians. Many others flee across the sea into China. After the Russian takeover, Shintoism becomes an underground religion in Yapon, only practised openly by Yaponese exiles abroad. From time to time nests of underground Yaponese Shintoists and Buddhists are uncovered, often 'converting' to Orthodox Christianity before their execution. With the Omani government unwilling to compromise with those leading the unrest in Zanj, unrest grows and spreads there. As the Russian threat becomes greater and more obvious the Ottoman Empire negotiates with the Sarajevo Pact and joins it as an associate member. This seems to halt aggressive Russian moves towards the Ottoman Empire. Comet Espinoza [Hind] appears and is bright enough to be seen with the unaided eye during the night and in telescopes during the day. Ayutthayan naval vessels, constructed in breach of the Treaty of Brunei, begin policing the Straits of Melakka, leading to protests from the Johor Sultanate, whose navy has carried out this role since 1841. With the death of his father William I, the new Prussian King Frederick William III is the first Prussian monarch to actively support the atheistic Freidenker [Freethinker] movement in Prussia. Young, thrusting and outward-looking, he is also an enthusiastic supporter of science, technology and advancement, and begins to modernise Prussia with the intention of bringing it to the forefront of the nations of the world. More privately, he also sees that the Prussian people need living space, and begins gearing up the Prussian state to provide it for his people. 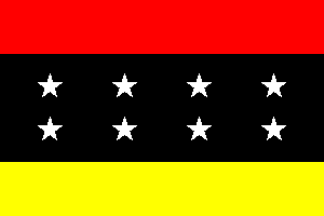 To help with this he lends his support to the All-German Party, founded as part of the 'Worlds' political movement. The Mughal Empire begins covertly funding Yaponese anti-Russian exile groups in Ling China and elsewhere. At the age of twelve Chinese Emperor Xianfeng announces that he has 'seen the light' and converted to Russian Orthodox Christianity. He also announces that all loyal Chinese citizens should also convert to Russian Orthodox Christianity and reject their 'ungodly' traditional beliefs. Immediately rumours begin to circulate that he was coerced into doing this, and unrest against these changes begins to grow and spread. Seeing the way in which the Councils of Rome are allowing individuals of violently differing to views to converse and reach agreements, a number of governments around the world send representatives to the Third Council of Rome when it occurs in this year. Wishing to increase its control of the entrance to the Red Sea, and so to the Suez Canal, Abyssinia invades and takes control of the strategic Omani island of Socotra, off the tip of the Horn of Africa. What becomes known as the Socotra War breaks out between the two nations. Persian merchant Taraneh Vossoughi accidentally invents what become known as Persianised [tarmaced] roads. These quickly find wide use around the world. Seeing the benefits to be gained by doing so, after considerably negotiation the leaders of the Banjar Kingdom in southern Borneo sign and join the Banten Pact. Ayutthaya begins building a new free trade port at Pulau Ujong [Singapore]. This soon begins stealing trade from the Sultanate of Johor that it had taken after it destroyed the port of Melaka in 1839. When both the Banten Pact and the Sultanate of Johor claim rights over the sea lanes between Borneo and Samudra, war breaks out between them. This becomes known as the Jawa-Johor War. Mughal Hindu philosopher Aishwarya Mangeshkar writes a book, 'A Pragmatic Defence of the Caste System', in which she puts forward the thesis that, although the caste system is important, and may be divinely and biologically determined, this does not mean that the people of the lower castes should be oppressed, and treated badly and without respect. This is because they are still thinking beings, and still have the power to help or damage those of higher caste if they so desire, as was shown by the damage that the Untouchable Europeans caused during the Factory War [in the real world the position of Europeans in the caste system is ambiguous; in this world events have made it considerably less so]. Thus people of all castes should be treated with respect. France Antarctique and French Hispaniola join Le Pacte d'Amazone. The Prussian government draws up secret plans for a massive Greater Prussia, incorporating Bavaria, the Baltic states, the Netherlands, Flanders and the German-speaking parts of Switzerland and eastern and southern Europe. Over the years the thesis of 'A Pragmatic Defence of the Caste System' helps to further erode the prejudice involved in the Indian caste system.